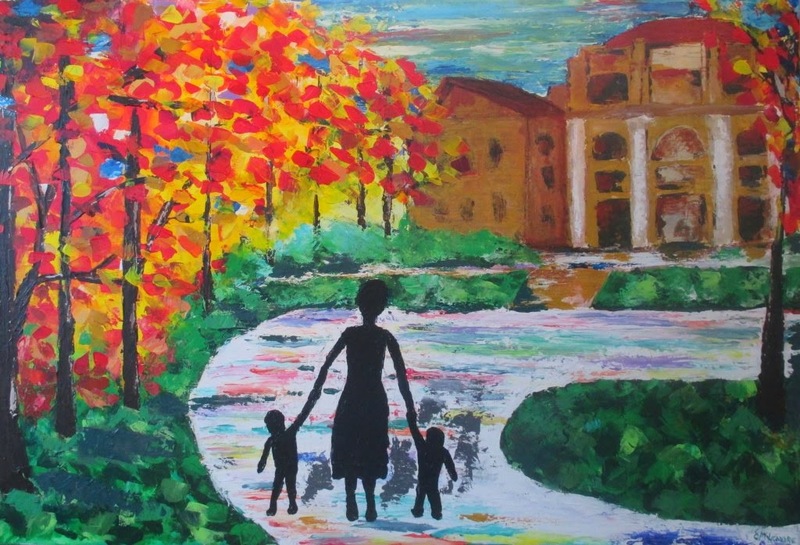 Faith, Hope and Art: A Servant's Heart Painting. Finished. Finally. I finally finished the painting that I created during church a few weeks ago. It was a hard one. Thankfully my dad came over and did a good critique for me and helped me move past the "i just don't like it" stage to actually fixing it! I don't know what artists do that don't have dad's or mentors to help them! Let's revisit where I left off during church.. Here I was at 1 hour or so into the painting. It was desperate for help, but I wasn't sure where I even wanted to start! I left it sitting on my easel in my "studio" for a couple of weeks. But then I had a friend that wanted me to paint something for her and I felt like I had to complete this piece before I started something new. So I started working on it and was bummed. It was bad. But my dad came along and helped me to look at it the way I look at my student's work. Objectively with a critical artistic eye. So after not too much more work, here is the finished piece. I made a conscience decision to not revamp the entire piece. 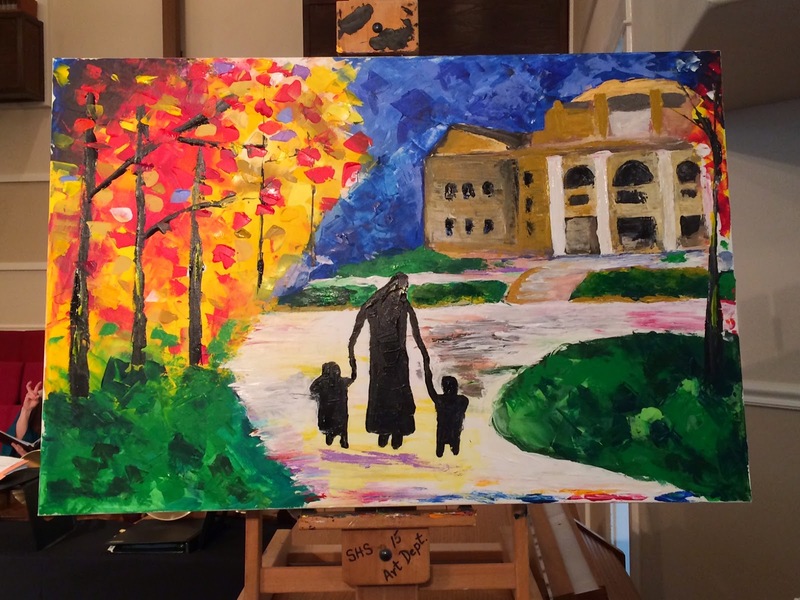 I felt like it needed to be a reflection of the church and the service that I painted it in. But I worked on the perspective elements a bit and the proportions of the figures. Through this process I've decided that I really LOVE oils and I really DON'T like acrylics. I just can't blend enough with the acrylics. I'm already working in a rushed tempo with the palette knife, but you add the drying time of acrylics to it and it's hard! So thankfully, at least for the summer, I am going back to oil painting! And I can't wait! Now I just have to get some of my to do list accomplished so that I can relax and paint.